Written by Courtney Tierney. Media by Fallyn Paruleski. I remember when I got my first cell phone. I was a freshman in high school, and the reason my parents bought it for me was because I was in the school musical and I kept using a friend’s cell phone to let them know when I needed to be picked up from practice, so, they got me my first cell phone. It was a small flip phone that only had texting and calling, no camera or anything. And it was good! That’s all I needed it for. Eventually (my sophmore year in college), I got a smartphone – an iPhone, woo! It’s funny looking at kids of this generation and their childhood. I’ve seen kids as young as 6 or 7 with cell phones, iPods, iPads, etc. What 6 or 7 year old needs a cell phone and an iPhone to make it even better? Childhood looks much different than when I was growing up. I remember reading so many books, playing outside all the time, and making up crazy, stupid games with my sister and friends. I remember using my imagination and having so much fun. It’s a struggle to get kids to go outside now. I’ve seen so many campaigns encouraging kids to go outside and play, explore and use your imagination, or turn off the TV and read a book instead! It’s all about the games, movies, videos, etc. Not that any of those things are bad, it’s just that it’s lessened our face-to-face interaction. Kids find it easier to text their friends, or IM their friends rather than go and hang out with them. It has made kids (and the rest of us too) really lazy. Because of this, it seems as though it’s hard to hold conversations with people and our communications skills and relational skills are lessened. It seems that we put so much focus on technology and have equated that with our happiness as well. 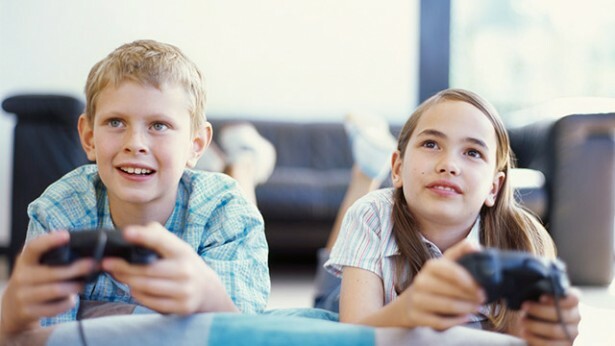 Kids want their iPods, phones, video games, computers, etc, because “it’ll make me happy!” We’ve put too much focus on STUFF, rather than people or other important things. Technology is a great thing, believe me, but I think that there should be a limit or something, to how much technology kids can have/experience when their really young. I think that it’s important for kids to be able to use their imagination, read, draw, play outside, make up games with their friends, etc, before they are thrown into the crazy world of technology. Next articleSustainability: What are we fighting? What are we defending? I agree with your suggestion for time limits and impose them on my own kids (9 & 13). Yet, instead of only preventing kids from using technology at early ages, as an educator and an involved parent, I’d propose a different approach. Let’s teach them appropriate use along with moderation. Let’s also help them become technology content creators and contributors rather than just passive consumers. And, let’s take them outside to play, too! Great food for thought, Courtney.